The French-speaking Universite catholique de Louvain is derived from the present Dutch-speaking Katholieke Universiteit Leuven. Due to the language and cultural differences, in 1970, the government legislation split the university in two, making the Dutch-language section an independent Katholieke Universiteit Leuven, which remained in Leuven, while establishing a new university campus, the Université catholique de Louvain, for the French-speaking students. 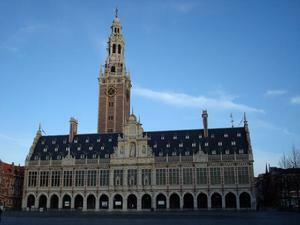 The founding of the French-speaking university, led to the birth of the new Leuven (Louvain-la-Neuve). The school has inherited the tradition of Belgium and nearly six centuries long history of the original Catholic University of Leuven, while at the same time, emits a modern and energetic ambiance. The university currently has 10 colleges, 50 departments, and 200 research units. The studies can be broadly divided into three categories, namely the human sciences, applied science, as well as theater learning and language centers, which is a very comprehensive university.